PRINCETON — Instead of sentences, Mercer County Circuit Court Judge William Sadler handed down diplomas and new leases on life Monday. The judge and a crowded courtroom of supporters gathered to wish seven graduates of the Southern Regional Drug Court well on their way into new, drug-free journeys, and two of the special speakers know what it’s like to travel the same roads. Melissa Tedder was one of the first to complete the Mercer County program designed to provide alternative sentencing designed to help drug offenders overcome addiction and escape time behind bars. At the time she entered the program, Tedder didn’t have much to smile about and even fewer opportunities in her outlook. “I was a menace to society. My life had fallen apart as a result of my drug addiction,” she said Monday. This week, she couldn’t stop the smile from spreading across her face as she told the audience how her life had turned around since she entered the program and graduated in June 2007. In fact, she’s getting married soon. She’s held a job for 18 months straight, and she’s worked hard to repair relationships with her children and her mother. Though she did the recovery work herself, she said it never would have been possible without the court’s strict supervision and the support of the drug court treatment team. “I’ll always be grateful for this program,” she said. Kenneth Shrader, another graduate, said he carries many titles. He’s a father, a husband, an employee and more. A couple of years ago, there were some other names he called himself. “I was hopeless. I was an addict,” he said. Shrader said his family and everyone who cared about him had given up, but there was one chance left. He was referred and accepted to the drug court docket, and today, he’s sober and once more surrounded by a family who knows he is strong enough to beat addiction. Holding his new baby and watching his daughter in the audience, he said those relationships showcase the biggest differences in his life. “Today, I remember a 4-year-old who didn’t want to leave her mommy’s leg, and now comes running to her daddy at the door,” he said. Magistrate Mike Flanigan, who oversees the misdemeanor segment of the Southern Regional Drug Court along with Magistrate Rick Fowler, hosted Monday’s ceremony and reminded the seven graduates that the celebration was not a conclusion. “It’s not the end, only the beginning,” he said. Though Sadler said he was a skeptic when Circuit Court Judge Derek Swope approached him about a drug court, he said he became a believer as a team of community corrections officials began touring similar courts and making plans for their own in late 2004 and early 2005. “We saw what drug court was truly about ... It was truly about helping people with addiction problems,” he said, along with relieving the court system of non-violent drug offenders and the expenses associated with incarcerating non-violent offenders. It costs approximately $25,000 a year to incarcerate someone, and Mercer County has struggled to tame its bills to the Southern Regional Jail in Beaver. Participants in Monday’s graduation said the drug court not only saves money in jail fees; they said it spends treatment dollars more wisely. In addition, drug court participants are expected to submit to drug testing, complete treatment goals, hold down jobs and give back to the communities in which they were once burdens. Drug Court Coordinator Laura Helton said the 78 participants accepted so far have completed more than 15,000 hours of community services, performing tasks that would have cost the county an estimated $92,000 if community corrections clients had not performed them. West Virginia Supreme Court of Appeals Justice Brent Benjamin, has attended all three of the local drug court graduation and said he was proud to see seven graduates Monday, a sure sign the program is picking up momentum. While speed of completion and statistics were to be commended, he said they were not the most important things to recognize during the graduation ceremony. “The lives changed are what matter,” he said. The keynote speaker for the day, West Virginia Supreme Court of Appeals Chief Justice Elliott “Spike” Maynard, changed his address after hearing the previous graduates speak. “I don’t know anything I could say that would be as powerful as what Melissa Tedder and Kenneth Shrader had to say,” he said. 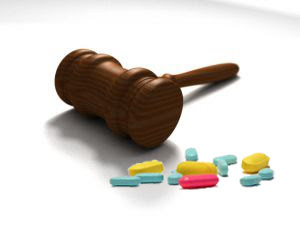 There are five drug courts in operation in West Virginia — three for adults and two for juveniles. Maynard said their successes prove to judges and observers alike that putting people behind bars isn’t always the answer. “This works. This saves lives and saves families,” he said. As the seven new graduates were called to accept their diplomas, Flanigan and Sadler touted their accomplishments in the program and tallied their drug-free days, and all announcements were met with broad smiles and a room full of applause.